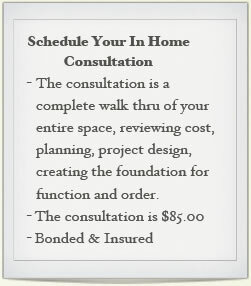 Professional Organizer Dallas TX | Plano, Frisco, McKinney, Allen! The Organizer Group, Inc. has been serving Dallas and Collin counties in the field of professional organizing since 1998. We are a group of professional organizers offering a wide variety of organizing services supporting your home, office and life. Life does not work without order, and the right supports in place to function and be successful. Our goal is to provide excellence to you our clients in the areas of our expertise, relieving stress, worry and chaos from your everyday life and bringing order and function where you need it the most. The greatest benefit to you as our client, is 95% of our work is done without your time being required. Your benefit becomes time and energy. Time to prioritize and manage the more important areas of your life. Time saved in finding what was lost. Time and energy to spend on taking care of yourself and your family. This you will find is truly a wonderful relief and the greatest gift you can give to yourself, your family and those who mean so much in your life. Clutter clouds our pathways! Clutter robs us from our destiny and purpose, and Clutter eludes us with the belief of need, comfort and abundance. However, it is just the opposite. Creating order and homes for the things you really need will clear your pathway, identify your destiny and purpose and produce the time and energy you need to fulfill the great life ahead of you. It is our sincere desire to provide these supports and see your life succeed and fulfilled. De cluttering & Downsizing – we help you decide on items you need and those you can let go of. We help you identify true use of items and whether they are being kept as an intention versus taking action. There are several factors that stop many clients here. Donating & Consigning – we filter donations to proper locations of need and consign items that may provide cash back. Organizing & New Placement of items – we organize all items left after downsizing and create new homes for things kept items. We purchase and install new organizing product as needed. Organizational Tools & Systems – New product and systems are put in place and maintenance is offered as needed. Creative Spacing & Design – we creatively use space to make the most out of each area as well as design with functional and appealing product solutions. Home & Office Décor – we rearrange furniture to accent space, purchase furnishings as needed to create a warm and inviting room. 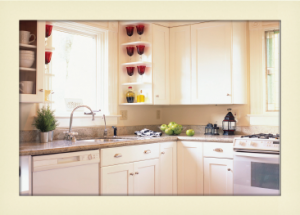 Storage Solutions – we design cabinetry, drawers, in closets, garages, kitchens, etc. to make better use of space and build for long term growth. Paper & File Management – we can remove all paper, downsize & clean out clutter and build your file management system for your household papers, or your office. Life Coaching & Time Management – we provide accountability, goal planning, time management skills, and life success strategies for managing your life. Moving Consulting & Management of Move – we can handle your entire move or help you with specific pieces that support the moving process. Packing, Unpacking, & New Home Set-up – we pack you for a move, unpack your items and set up each room in your home or office. The Organizer Group, Inc. | Powered by Mantra & WordPress.